The Making of Modern Law: Foreign, Comparative and International Law, 1600-1926, brings together foreign, comparative, and international titles in a single resource. 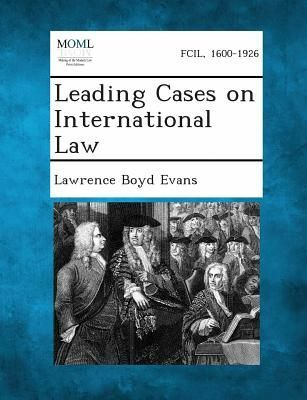 Its International Law component features works of some of the great legal theorists, including Gentili, Grotius, Selden, Zouche, Pufendorf, Bijnkershoek, Wolff, Vattel, Martens, Mackintosh, Wheaton, among others. The materials in this archive are drawn from three world-class American law libraries: the Yale Law Library, the George Washington University Law Library, and the Columbia Law Library.Now for the first time, these high-quality digital scans of original works are available via print-on-demand, making them readily accessible to libraries, students, independent scholars, and readers of all ages.+++++++++++++++The below data was compiled from various identification fields in the bibliographic record of this title. This data is provided as an additional tool in helping to insure edition identification: +++++++++++++++Yale Law LibraryLP3Y006840019170101The Making of Modern Law: Foreign, Comparative, and International Law, 1600-1926Chicago: Callaghan and Company, 1917xix, 477 p. 24 cmUnited States.